BCA Products from Bobbi Brown. 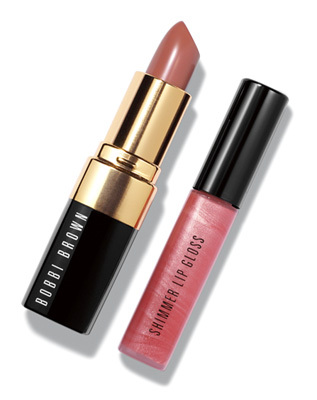 This year Bobbi Brown has added a must have lip duo to her product line-up, in which a part of the proceeds will benefit Breast Cancer Awareness. Bobbi created a beautiful limited-edition lip set, featuring Shimmer Lip Gloss in Exclusive Pink Flower and Lip Color in Sandwash Pink. These come beautifully packaged in a pink photographic carton. This duo retails for $30 and is available at Bobbi Brown counters, by calling 877.310.9222 or at the BobbiBrown.com site.